Each month, a guest chef gives us a tip that elevates their cooking or simplifies things in the kitchen; something a home cook might not know. They also provide a recipe that uses the tip, so you can practice at home. 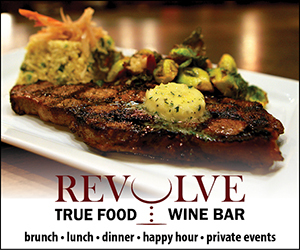 Our guest chef this month is Chef Meredith Abbott, Manager of Culinary Content at Sur La Table. This 'second home to cooks' first opened in 1972 at the Pike Place Market and has become the place to find culinary tools from around the globe and a knowledgeable team with a shared passion for cooking. Cooking classes are held at their Kirkland location. If you love food and cooking, Sur la table offers a great place to browse, buy, and cook. One of Chef Meredith's missions is to demonstrate that it's possible - and wonderful - to have healthy and flavorful on the same plate! 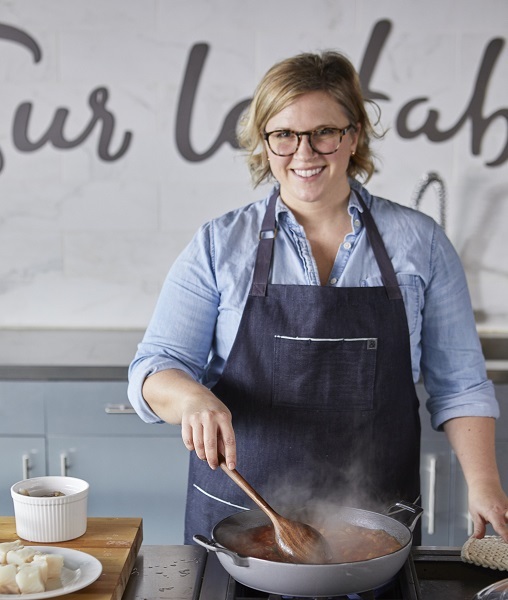 Having worn the hats of pastry chef, food truck operator, private-school chef, farm hand, and corporate executive chef, Meredith currently brings her comprehensive background to the role of Culinary Content Manager at Sur La Table. Meredith is a native Iowan who has lived in Seattle since 2002. Although initially pursuing a degree in social work, she found herself strongly drawn to the culinary world, and obtained a Culinary Degree from the Art Institute of Seattle as well as a certificate in Health and Nutrition from the University of Washington. Meredith also immersed herself in Seattle's thriving and innovative restaurant world. She is delighted to bring her varied experiences to Sur La Table. When buying scallops, know that the size of scallops varies greatly; sizes are indicated by how many it will take to make up a pound. The smaller the number, the larger the scallop. For example: U/15 would be a medium-sized scallop (meaning 15 of these scallops would make up a pound). Before cooking scallops, ensure they are completely dry by placing them on a paper towel for an hour. When making the salad recipe below, any type of olive will work. Feel free to visit the olive bar at your local grocery store and pick your favorite to customize this recipe. There are also olive oil and vinegar stores around the area where there are many options. 1. Cut peel and pitch from oranges. Over a medium bowl, cut between membranes to release segments. Let juices and segments fall into the bowl. Add olives. Core and thinly slice fennel bulb, toss with orange segments and olives. 2. To a separate small bowl whisk together oil, vinegar, salt and pepper. Taste and adjust seasoning. 3. Pour vinaigrette over orange mixture and toss to coat. Taste and adjust seasoning again. 6. To a large non-stick skillet set over high heat. Season scallops with salt and pepper and add to the hot skillet. Sear until golden, about 2 minutes. Flip and sear on the second side until golden, about 2 more minutes. 7. 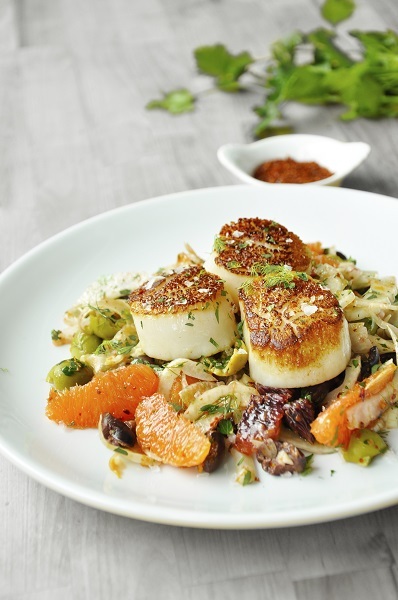 Divide scallops between 8 appetizer plates or arrange over salad on platter. Drizzle zest mixture over top and serve immediately. to see the class schedule.